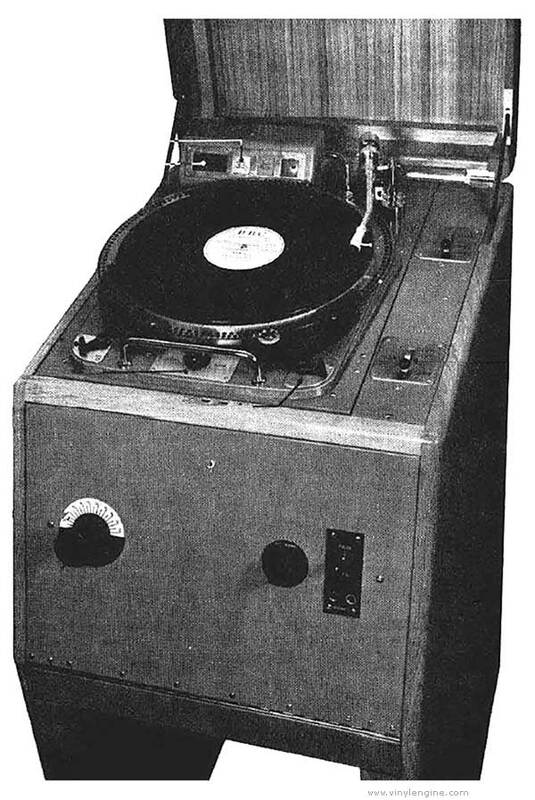 The DRD/5 turntable unit consists of two parts, a main unit on the left-hand side which carries the turntable and pick-up and, on the right, a narrow panel which carries the two control levers for lowering the pick-up and for starting the record. In the working condition, this narrow panel carrying the controls is attached firmly to the desk but the main unit on the left which carries the turntable and pick-up, rests on four conical springs two of which can be seen surrounding the rods which act as supporting legs. 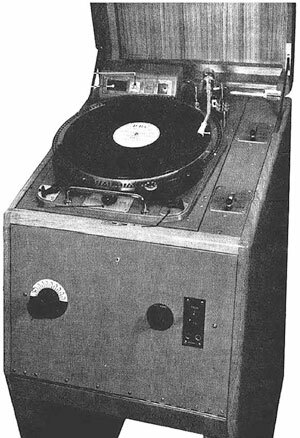 These springs provide a substantial measure of mechanical isolation of the turntable unit from external shock, a feature which is of the utmost importance in this application because, with a pick-up stylus resting only lightly in a shallow groove, quite a modest shock may cause it to jump entirely out of the groove. In service conditions it is, of course, impossible altogether to avoid occasional accidental knocks on the desk or vibration and the effects of impact on the floor. BBC DRD5 / DRD5 owners manual, service manuals and schematics are for reference only and the Vinyl Engine bears no responsibility for errors or other inaccuracies. The PDF files are provided under strict licence. Reproduction without prior permission or for financial gain is strictly prohibited. This website is not affiliated with or sponsored by BBC.